I highly doubt that fruit flies or their larvae can digest any plastic used in everyday products. But are there any documented cases where they attempted to eat plastic? I ask this because last Sunday I was setting up a Wii U at my grandparent's house. It had been in this plastic bag that has been sitting in the same room for about three weeks because I only use it at other people's houses and is never set up in my house. This plastic bag was similar in shape and size to many re-suable grocery bags that supermarkets distribute, example Whole Foods. But this bag was made entirely out of plastic. Of course I don't know what type because it wasn't recyclable. It was also more rounded on the edges. Okay, here comes the biology part. 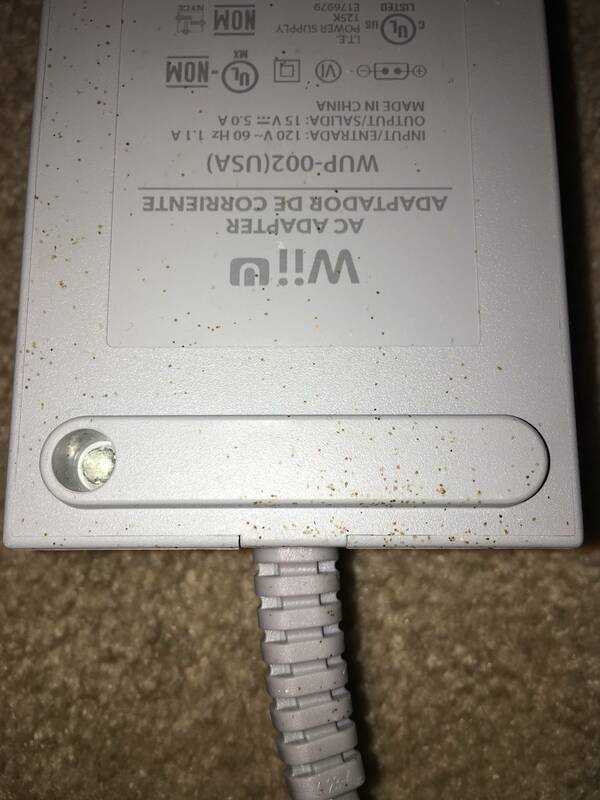 I took the Wii out and there were light-brown, rice-shaped and approximately rice-sized "things" on some of the controllers, the power adapter and on the inside of the bag. There were a couple of fruit flies flying around when I took everything out. This immediately led me to believe that the "things" were fruit fly larvae, or dead larvae. I came to this assumption because in the past few weeks there have been more fruit flies than normal in my house, probably because of compost staying inside for too long (in a container in the kitchen sink) and a few too many rotting bananas that weren't eaten or disposed of for a while. And after seeing two or three live flies flying around the controllers I assumed that's what it must be. When searching for fruit fly larvae on Google Images the best picture that represents what I'm describing is this. There were also smaller brown dots where the larvae were and in some places they were not. I don't know what these are. They are smaller than 1mm in diameter. I understand that the flies probably thought that the bag was a dark and safe place to reproduce, but there are two things that I could not figure out, and they seem to be related. One of the Wii remote controller's strings (handles?) was dark brown and slightly wet. It looked like it had been soaking in muddy water. I was very confused by this. I took the bag outside to try and empty it but the supposed larvae were stuck to the inside of the bag. What did fall out of the bag that I missed before was a black ball about two inches in diameter that was also slightly wet upon touching it and was apparently plastic. There were a couple larva on it as well. The bottom of the bag looked like it had some plastic removed from it. This led me to believe that larvae had eaten some of the bag and detached it from the bottom. And somehow this ended up in the form of a ball. (Not a perfect sphere, but round.) I really wish I had taken more time and examined it more to confirm that it was from the bag. I don't have pictures of any of this because everyone was pressuring me to throw out the bag and clean off the equipment, apparently not caring about what actually happened. I also don't have pictures of the Wii remote string because I cut that off and threw it away as well. I later realized that I should have taken pictures because it is so difficult to describe. I began thinking of explanations for each part of what happened. My hypothesis is: Fruit flies in our house reproduced until there were too many to be sustained by the amount of food that was available. This probably happened when there were no bananas left or compost had just been taken outside. Some found the bag which was dark and safe, so they reproduced there. There wasn't any food for the larvae so they tried to eat the plastic that they were on but couldn't digest it, so they died. This is way longer than I wanted to it to be... So it comes down to these questions: 1. Would fruit flies lay eggs where there is no food? 2. Would fruit fly larvae attempt to consume something that clearly wasn't food? 3. What are the small dots on the adapter? As someone commented, it seems likely that this was just caused by a piece of fruit that had been accidentally left in the bag. It attracted fruit flies and for weeks they were reproducing. Why do flies fly in circles? What is the family of this insect caught by my Drosera? Help me identify species of fruit fly? Is this a type of fruit fly?